Image caption Will MGM's lion roar back to profit? Creditors of Hollywood's legendary MGM studio have voted in favour of a bankruptcy plan offered by US firm Spyglass Entertainment. 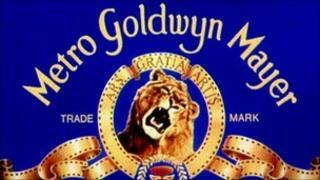 The rescue deal would put Spyglass at the helm of MGM, which is struggling under $4bn (£2.5bn) of debts. The creditors rejected rival offers including from Canada's Lionsgate, part-owned by billionaire Carl Icahn. The months of financial deadlock meant several film projects were put on hold, including the latest 007 movie. MGM has struggled due to several box office flops and a DVD sales slump. The rescue plan provides for MGM's secured lenders to exchange $4bn in debt for equity in the company upon its emergence from Chapter 11 bankruptcy. The trimmed-down company would then be taken over by Spyglass. In a statement, MGM, famous for its trademark roaring lion logo, said that its lenders had "overwhelmingly approved its proposed plan of reorganisation" by Spyglass. The financial rescue of MGM is key to the production of several movie blockbusters. In April, work on the 23rd film in the James Bond franchise was suspended due to uncertainty over MGM's future. The British production company behind the project said at the time that the film was on hold "indefinitely". There was no immediate comment this weekend on when production might resume. Spyglass's most notable recent success was production of Clint Eastwood's last film Invictus. MGM bankruptcy or rescue in Hollywood ?